Lefton model of a Sioux City Cable Railway grip car. opened: 01-June-1889. 29th Street at Jackson Street on Jackson Street to between 3rd and 4th Streets. notes: The Sioux City Cable Railway considered using the Rasmussen non-grip system for its line, but after studying the Valley City Street and Cable Railway in Grand Rapids, Michigan, the company contracted with William Phenix to make a similar single-track installation in Sioux City. The original line had four passing loops. There was one more on the extension to 39th Street. The line on 3rd Street was double tracked. It ended in cross-overs. The grip cars pulled the trailers with ropes to switch them. The line on Jackson Street connected the low-lying business district with a proposed high-lying residential area. The company planned to build an extensive set of cable lines, so it built a very large powerhouse. The extension to 39th Street ended in a balloon loop at a company-operated recreational pavilion. This helped to generate traffic because the area had few houses. After the competing Sioux City Street Railway converted from horse to electric traction, the cable company's fortunes began to decline. The company ent bankrupt in 1893. The line converted to electric traction on 16-May-1894. from "Editorial Correspondence," The Street Railway Journal April, 1888. SIOUX CITY CABLE RAILWAY COMPANY. FIG 1. -- POWER STATION -- SIOUX CITY CABLE RAILWAY CO.
August, 2016 Picture of the Month. This is the first single track cable railway that we have visited, and is the only cable line in the State of Iowa. It was started in May, 1889, and since that time the cars have been running regularly. The line was designed and built by Wm. Phenix, of Chicago, and does credit to his engineering ability. There are six side tracks with automatic switches for the passage of trains, and the line terminates in a loop at Central Park. At the city terminus crossover switches are provided. In making the switch the grip car drops the trailer and crosses over and takes the return rope after passing the trailer, a long rope is attached to the grip and made fast to the trailer, when the grip is started and the trailer is hauled over on another crossover, and overtakes the grip by momentum. The ordinary grip cars are employed, but the gripman is protected by a diamond shaped cab which surrounds the space between the seats, and having glass sides gives him a clear view in front or rear. 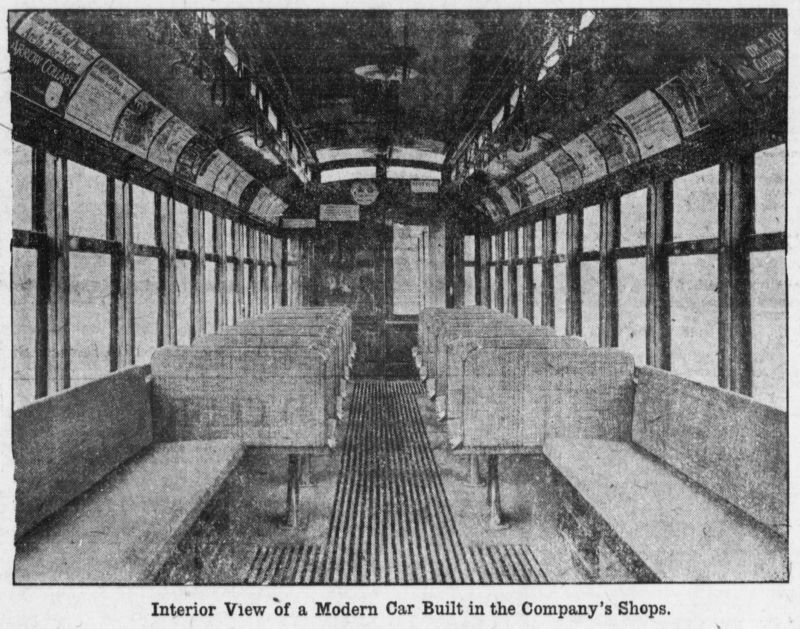 The cars were mostly built by the Laclede Car Company, but there are five double decked summer cars built by Jas. 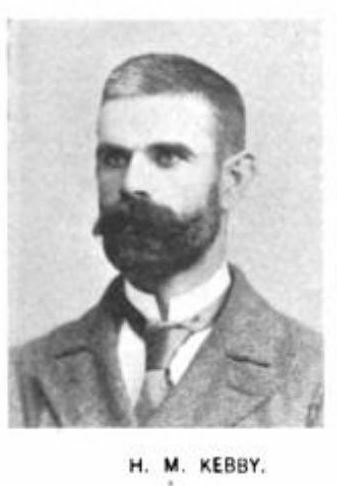 A. Trimble of New York, shown in Fig. 2. These cars seat twenty inside and thirty on top. Seven trains are run usually on a six minutes' headway. The power station (Fig. 1) is on 29th Street, well out of town, and is a very handsome brick structure. Two Hazelton tripod boilers of 400 and 500 H. p., with stokers, provide the steam, and the power is generated in two Williams automatic cut-off engines of 250 H. P. each, built in Beloit, Wis. The power is transmitted by belt from the flywheel to a large drum on the auxiliary shaft which is set outside the winding drum, and is coupled by gear to the first drum. The second drum is not driven. Two ropes are employed, and are run at a speed of eight and eleven miles per hour. Roebling ropes are employed, and the average life of the rope is eighteen months. One rope ran for twenty-two months. There are two interesting features in connection with the operation of this line. The first is the utilization of the exhaust steam for house heating purposes. Ordinary radiators are used. This system of heating by exhaust steam is at present extended to five buildings over a third of a mile distant from the station, as well as being employed in the power house itself, while the back pressure on the engines is said to be less than was formerly experienced when the power house alone was heated. The exhaust is first connected to a large expansion tank, properly proportioned to relieve the engines of their back pressure by forming a cushion, and arranged for eliminating the oil, etc., from the steam. This tank is important, serving to take up the throbbing and pulsations of the engines and assuring a constant volume of steam for the mains. From this tank starts the main pipe which is proportioned to serve 200 houses under a total pressure of two pounds. The main from the tank reservoir passes through the cable wheel pit into the street, and runs for 600 ft. before being connected to any houses, a uniform pitch being carefully provided to insure the entrained water traveling in front of the steam. No short turns are allowed anywhere on the piping, and special sweep elbows are provided for the reduction of friction. The expansion of the pipes is cared for by carefully arranged offsets every 150 ft, and the" creeping" of the main is avoided by carefully anchoring it at the proper points, throwing the expansion in the direction that the steam travels. After passing 600 ft., as described above, the main pipe branches into two smaller mains, having a combined run of 1,700 ft., the dividing line being so arranged that it can be continued in the future. These branch mains are preferably run in alleys, the company avoiding in this way any conflict with the city authorities on the paving question, and securing as well general convenience in entering the houses. Four inches is the minimum size of any house connection. The company insists upon having the piping plans of each building submitted to its engineers for approval so as to avoid any unscrupulous steam fitting which might involve a failure in the heating. They do not regard a building as being properly piped unless a perfect circulation is produced without any indicated back pressure and unless the building can be thoroughly heated with a maximum pressure of two pounds. All buildings are piped on the one pipe system with a continuous main around the basement from which the risers are taken. After the steam has made the circuit of the house it passes through a specially designed heater, connected with the city water system and from this heater passes through a gravity trap into the sanitary sewer. The advantages of the heater are manifold, for in addition to providing the residence with a constant supply of hot water, the residual steam is condensed, tending to form a vacuum and aid the circulation. The insulation of the mains is effected by a box filled with specially prepared mineral wool, the mains being so laid as to move easily without affecting the covering. The value of this insulation, the company believes, is incomparably superior to either asbestos or split logging. In fact, at the point where the pipe in its box passes through the cable pit the box is exposed to the weather and is often covered with snow and ice, with no perceptible melting. This station, it should be stated, is particularly well situated for supplying heat in this way because it has the exhaust steam all day from the cable engines, and during the night when employed in operating the lighting dynamos, so that they are not obliged to use live steam at any time. The design of the system was worked out by C. Moller, general manager and superintendent of the railway company, assisted by Frank G. Perkins, mechanical engineer of the John Davis Company, of Chicago, Ill., which latter company supplied the material for the entire system. In the electric lighting plant referred to Brush generators are used, and are driven by rope transmission from the cable plant. The streets for a long distance on this line of the road are lighted by arc lamps at the company's expense, and a number of houses in the neighborhood are provided with arc lamps, for which a charge is made. FIG 1. 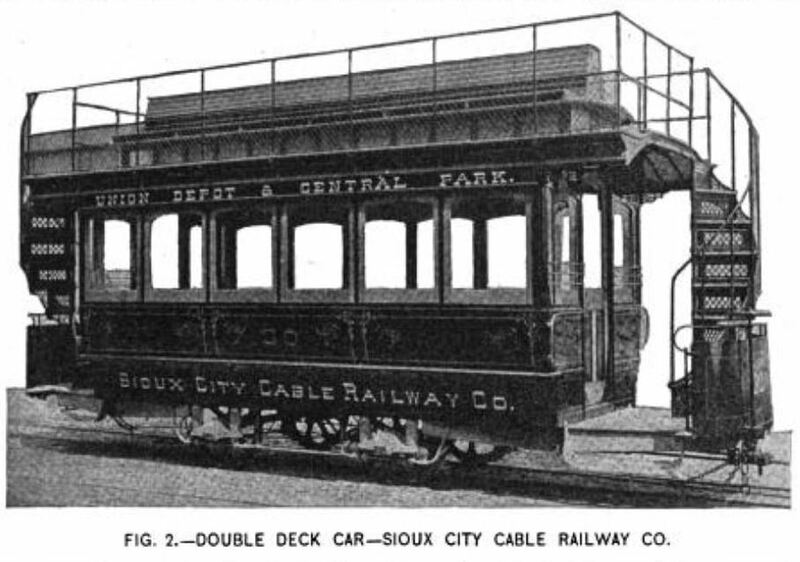 -- DOUBLE DECK CAR -- SIOUX CITY CABLE RAILWAY CO.
A Valley City Street and Cable Railway cable train on Lyon Street. (© Grand Rapids Public Library. All Rights Reserved. ) September, 2016 Picture of the Month. opened: 18-April-1888. Canal Street (now Monroe Street) at Lyon Street on Lyon Street to between Union Avenue and Grand Avenue. extended: 07-March-1889. Canal Street at Lyon Street on Canal Street to Bridge Street (now Michigan Street). Bridge Street to Ottowa Street. Ottowa Street to Coldbrook Street. Coldbrook Street to Ionia Avenue. Ionia Avenue to Leonard Street. extended: 06-April-1890. Two-way loop. Bridge Street (now Michigan Street) on Bridge Street to Grand Avenue. Grand Avenue to Lyon Street. Lyon Street to Union Avenue. Union Avenue to Fulton Street. Fulton Street to Eastern Avenue (?) near the Fulton Street Cemetery. extended: 23-August-1890. Ionia Avenue and Leonard Street on Leonard Street to Taylor Street. Taylor Avenue to Sweet Street (great name). Also new tracks south from Lyon Street and Ottowa Street (blind conduit across gap on Ottowa Street from Bridge Street to Lyon Street) on Ottowa Street to Louis Street. Louis Street to Spring Street (now Commerce Avenue). Spring Street to Post Street (now Wealthy Street -- great name). Post Street to Sheldon Avenue. Sheldon Avenue to Western Avenue (now Logan Street). Western Avenue to Lafayette Avenue. Lafayette Avenue to Hall Street. cut back: 15-April-1891. South line abandoned. cars: grip and trailer trains, double-ended. notes: One reason that the Valley City Street and Cable Railway in Grand Rapids, Michigan is the second-to-last Hallidie-type cable car operating company that I have written about is that it went through a convoluted series of route changes that have been very hard to describe. I did the best I could and hope to improve them in the future. Grand Rapids had a long, steady climb from the central business district to residential districts. In 1884, the Common Council asked horse car operator Street Railway Company of Grand Rapids to build a cable car line. The company declined. Local businessmen founded the Valley City Street and Cable Railway in 1887, hiring William Phenix to design and build the line. First he built a straight line on Lyon Street, from the powerhouse at the top to Canal Street at the bottom of the slope. The company soon extended the single line into a loop, where cars ran both ways. The Lyon Street cable was extended out Ottowa Street in 1890. The cable proved to be too long and to have too much curvature. The company built a new powerhouse at the bottom of the slope and created a long, twisting line to the south. Cables from the lower powerhouse ran the north and south lines. The south line carried little traffic and was abandoned after a flood in 1891. The Valley City Street and Cable Railway and the Street Railway Company of Grand Rapids merged to form the Consolidated Street Railway Company in July, 1891. On 09-October-1891, electric cars began to run on the loop. from History of the City of Grand Rapids, Michigan by Albert Baxter, 1891.
from "The Civil Chronicle -- Events of Forty Years." 1885. February 16, the Valley City Street and Cable Railway ordinance was passed. 1887. July 11, an ordinance was passed granting franchises in certain streets to the Valley City Street and Cable Railway Company. 1888. The Valley City Street and Cable Railway Company, on January 23, was granted a franchise in Grand Avenue north from Crescent Avenue. 1889. The putting in place of the steel wire cable of the Valley City Street and Cable Railway Company, April 13, was an event of public interest. The grip cars ran over the Lyon street track April 16, and began regular trips a few days later. VALLEY CITY STREET AND CABLE RAILWAY. Lyon and Bridge street (cable), from the corner of East Fulton and East streets over Fulton, Union, Lyon, Canal, and East Bridge streets and Grand avenue. Ottawa street (cable), from the City Hall by the way of Canal and East Bridge streets to Ottawa, and over North Ionia and Taylor streets to the north city line at Sweet street. West Third ward line (cable), from Pearl street and business center to city limits by Louis, Spring, Wealthy avenue, Sheldon, Wenham avenue and Lafayette streets. Grandville avenue line (horse), from Canal street and business center to city limits south on Grandville avenue. West Fulton street line (horse), Fulton, Straight, Jackson, Pine and Bridge and business center. Barclay street line (horse), Coit, Trowbridge and Clancy to D., G. H. & M. track. Ionia street line, south on Ionia to and beyond the city limits. Some seven miles of roadway are completed, or nearly so. A central power house plant is in the course of development and construction, at the foot of Lyon street, between Campau street and the river. Twenty-five passenger and twenty-three grip (cable) cars are in use, also fifteen passenger cars drawn by horses. The capital invested is near half a million dollars. There has been some change of officers and management. 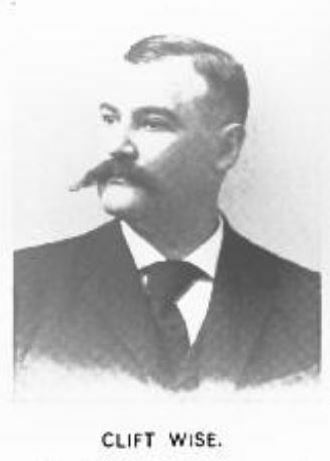 Directors chosen July 3, 1889: A. J. Bowne, James Blair, John W. Blodgett and A. D. Rathbone, of Grand Rapids; W. S. Crosby and John M. Hagar, of Chicago; H. P. Breed, of Minneapolis - President, A. J. Bowne; Vice President, J. W. Blodgett; Secretary, W. S. Crosby; Assistant Secretary, Accountant and Purchasing Agent, H. P. Baker; Treasurer, James Blair. from The Street Railway Review, Volume 1, 1891.
from The City of Grand Rapids, Manufacturing Advantages Commercial Importance: Sketches of the Principal Industries and Business Houses by B.F. Conrad and Company, 1889. The Valley City Street And Cable Railway Co. -- Office at foot of Lyon street. A project of comparatively recent realization, but one whose success has been notable, whose influence has been felt by all business interests, and whose existence distinctly marks the progressiveness of the Valley City, the enterprise here under review is well deserving of passing mention in this portion of our work. The enterprise originated with one of our most popular and influential citizens, Gen. Wm. P. Innes, the "Valley City Cable Company" being, through his energetic efforts, organized and incorporated March 2, 1885. Two subsequent re-organizations took place, at the last, on June 6, 1887, the present title being adopted, and the company incorporated with a capital stock of $100,000. Active operations were at once inaugurated, and after considerable delay since the original inception of the enterprise, the system finally became practically assured, a contract for construction being awarded to Samuel B. Tibbets and others, June 10, 1887. On the 11th of April, 1888, the first car was run over the Lyon street line, from the power house at the eastern end of Lyon street to Canal street, and regular service commenced one week later. The system has been extended on Canal street to Bridge street, on Bridge street to Ottawa, and on Ottawa and Ionia to Leonard street. The cable is about six miles in length, and the actual distance covered being about three miles. The system as operating upon streets where horse car lines are impracticable and (in the case of Lyon street, where the ascent is very rapid,) literally unavailable, and as affording effective service, is of great value and importance among the distinctive improvements and enterprises of the city. The plant, which is most thoroughly equipped and most effective, includes boilers of 450-horse power and engines of equal power are soon to be in operation, the present capacity in the line being of 200-horse power. The company use fourteen cars on their cable line and eight on the horse-car lines operated, and about sixty men are employed. Some fifty horses are used on the horse-car lines. Eight grip cars and trains are run on the cables between the hours of 6 A. M. and 11 P. M. each day, the round trip being made in 42 minutes, a train passing a given point in either direction once in every seven minutes. Extensive improvements are projects of the near future and will still further increase the important value of the system. The officers of the company are A. J. Bowne, president; John De Graaf, acting superintendent; W. S. Crosby, secretary and James Blair, treasurer; A. J. Bowne is president of the Fourth National Bank and the other officials and the interested stock-holders are to be noted as among the most prominent capitalists and business men of the city, concerned in her prosperity and progress. The excellent street railway facilities of the Valley City connect its remotest limits with the business center, but the recent growth of the city to the southward has made rapid transit beyond the limits a necessity, to meet which the South Grand Rapids Street Railway Company was organized,. Joseph C. McKee being president, Loyal E. Knappen, vice-president and Percy T. Cook, secretary and treasurer. The company owns a franchise for three and one half miles of street railway connecting South Grand Rapids by a belt line with the Grand Rapids Street Railway Company's lines at the corner of Hall and Division streets and The Cable Company's line on Grandville avenue. One mile and a half of this road is now under construction, and will be in operation within 30 days. A suburban street railway line to Oakdale. Park was constructed during the present year, and is in operation, connecting with the street railway company's lines. Another motor line to Reed's Lake, and one to the Soldiers' Home, are among the projected enterprises. "A Horse on Minneapolis." 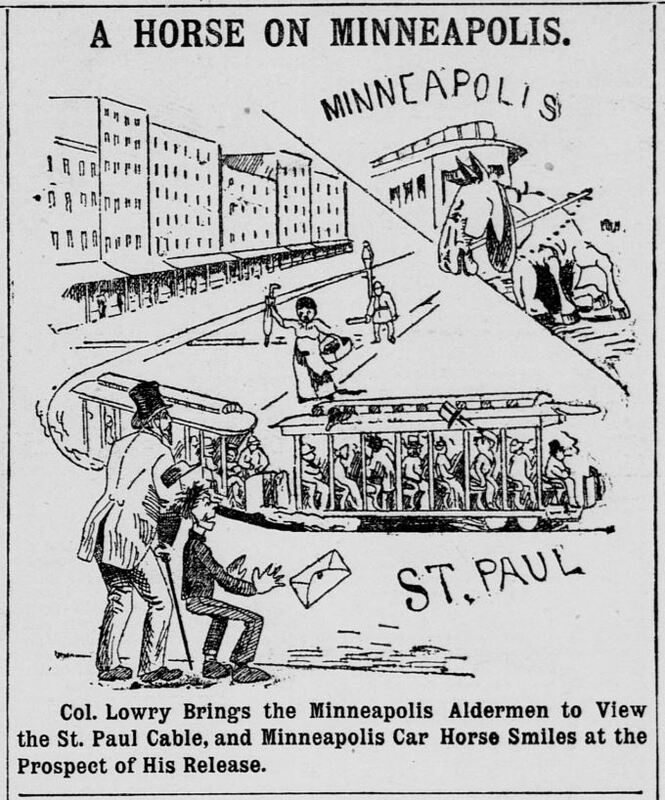 Saint Paul had cable cars and its twin city, Minneapolis, did not. The expression comes from dice games. (Source: Saint Paul Globe / 07-July-1889.) October, 2016 Picture of the Month. opened: 21-January-1888. Broadway Street at Fourth Street on Fourth Street to Third Street (now Kellogg Boulevard). Third Street to Selby Avenue. Selby Avenue to Chatsworth Street. opened: 14-June-1889. Seventh Street at Wabasha Street on Seventh Street and viaduct to Duluth Avenue. notes: The central business district of Saint Paul, Minnesota is on flat land by the Mississippi River. It is surrounded on three sides by hills. The winter weather in Saint Paul is the harshest faced by any Hallidie-type cable railway. The company used a wide slot, but the slot still got squeezed shut at times when the ground froze. Keeping the conduit free of snow required much effort. The Selby Avenue line had heavy curvature going from Fourth Street to Selby Avenue. This section also had a 16% grade on the transition from Third Street to Selby Avenue. Soon after the line opened, on 27-January-1888, a train ran away going down the 16% grade. The gripman had lost the cable and the brakes could not stop the train. The grip car was destroyed in a derailment which killed one passenger and injured many others. The Seventh Street ran on a viaduct over several railroad yards. It climbed a steady grade, but not a steep one. The line ran with cable traction only until 01-September-1893, when it was converted to electric. The 16% grade section of the Selby Avenue line was too steep for electric operation. 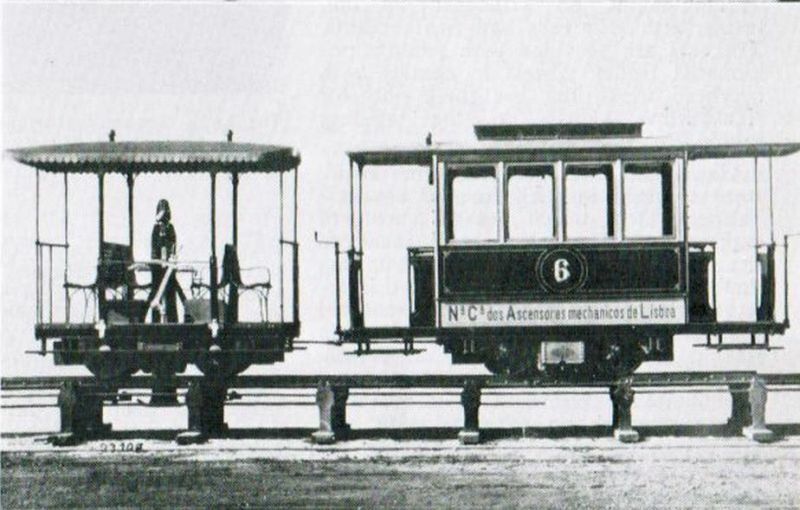 On 03-June-1898, the line was converted to electric traction, but the steep part became a counterbalance, similar to the revised counterbalance that replaced the Providence Cable Tramway. Weights ran on rails in the conduit. The former grip cars, motorized and enclosed, latched onto the weights. The counterbalance ran until 10-October-1906, when a tunnel opened to bypass the streep section. The motorized grip cars were used as shop switchers by Twin City Rapid Transit until the end of rail transit. Writer F Scott Fitzgerald grew up in the neighborhood traversed by the Selby Avenue line. from "Notes and Items," The Street Railway Journal June, 1887. It will probably be July before the company begins the laying of its tracks beyond the Robert street bridge. The Dayton's Bluff extensions and the Fourth street cable line will certainly be built this year, and early next spring operations will begin on the East Seventh street cable line. President Lowry says he intends as soon as the Selby avenue cable is completed, to extend the St. Anthony Hill line, which now runs up Rice street, out Rice to Rondo, thence out Rondo to Mackubin, and farther as occasion requires. from "Editorial Correspondence," The Street Railway Journal February, 1892. Two cable lines are operated in St. Paul, one from the Silby Avenue (Selby Avenue - JT) station and the other from a station on Seventh Street. Both stations are alike in their equipment, the driving machinery having been manufactured by the Robert Poole & Sons Company, of Baltimore. At the Silby Avenue station the power is supplied by two Allis high pressure engines of 500 H. P. each, and the steam is generated by four tubular, double deck boilers of 250 H. P., manufactured by the Schuylkill Foundry & Machine Company, under which oil fuel is burned. Two ropes are driven by solid drums geared together, one at a speed of eight miles an hour and the other at twelvejmiles, and the life of the ropes, which are of Roebling make, is about fifteen months. Ten regular trains, consisting of open grip and trailer, are run. The cars were all manufactured by the Laclede Car Company. 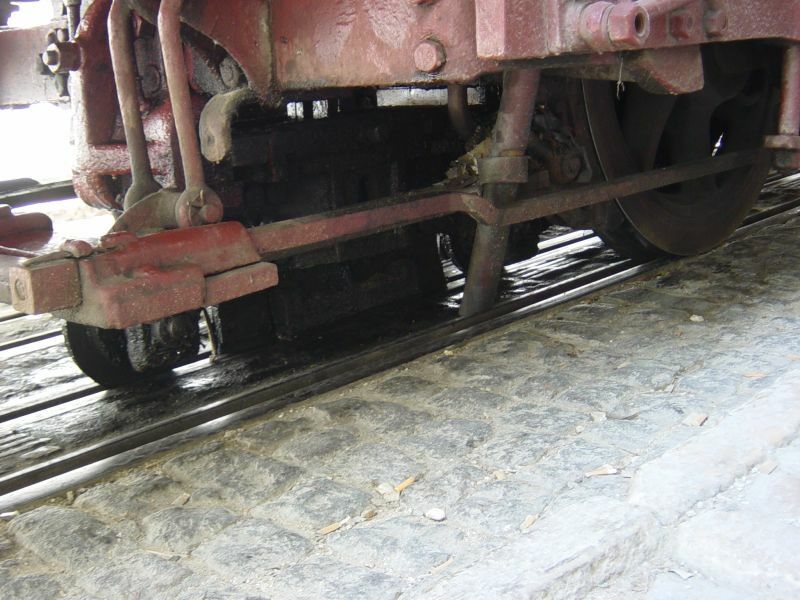 The trains are equipped with a Johnson continuous brake, and the trail car is provided with a special wedge brake or shoe having a rubber surface which comes in contact with the rail when in use. This brake is designed for emergency use on a 500 ft., 6 per cent, grade which occurs in the line. On ascending or descending this grade each train is boarded by a special brakeman stationed at this point, who uncouples the continuous brake chain and takes his position on the front platform with his hand on the lever of the emergency brake. These precautions were instituted after a runaway on this grade in which several people were injured. The company proposes changing from cable to electric power on the Seventh Street line, for the reason that with the present traffic the cost for operating per car mile is greater than it is on the electric lines. 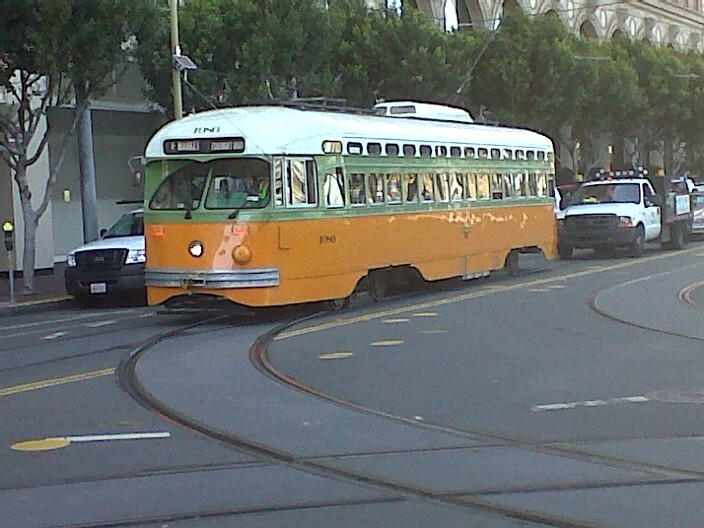 San Francisco Municipal Railway car 1080, originally Twin City Rapid Transit 328, later Newark Public Service 9, waits to turn from Steuart Street into Don Chee way on 02-March-2012. It had to wait because a tourist couple had driven their car into the private right-of-way. A kind Muni employee helped them back out. A cable train in Omaha, Nebraska. 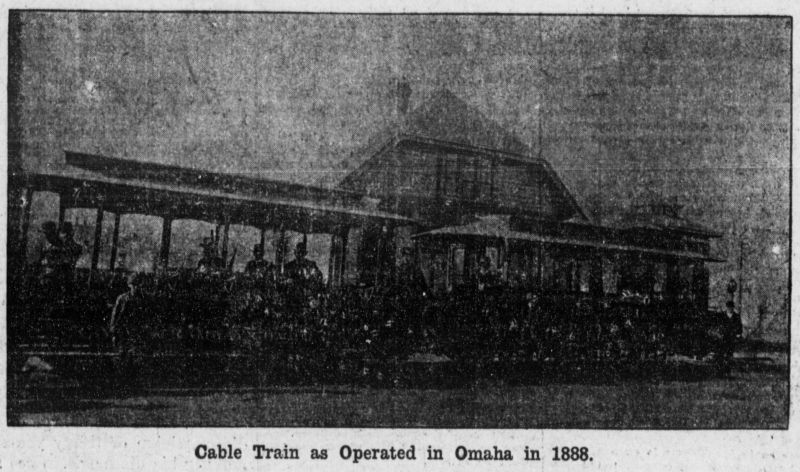 (Source: "Cable Railways in Omaha," Omaha Daily Bee / Sunday, February 21, 1909.) October, 2014 Picture of the Month. opened: 29-December-1887. 10th Street and Harney Street on Harney to 20th Street. 20th Street to Dodge Sreet. Dodge to 25th Street. opened: 29-December-1887. 10th Street at Jones Street on 10th Street to Dodge Sreet. Dodge to 20th Street. 20th to Cass Street. extended: 28-June-1888. 20th Street from Cass Street to Lake Street. extended: ??-???-1888. 10th Street from Jones Street to Union Station. notes: Engineer Robert Gillham faced some problems in designing and building the Cable Tramway Company of Omaha. Because of interference from the Omaha Horse Railway, the company had to build parallel routes on Harney and Dodge Streets, which ran around the cental business district. Both streets had steep grades, especially Dodge. The line shared sections of 10th and 20th Streets with the Horse Railway and paid damages every year to the Horse Railway for the privilege. The system had a lot of curvature, which led to cables lasting an average of 90 days. 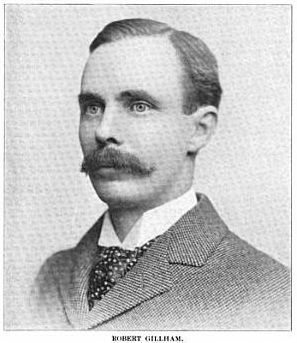 from History of the City of Omaha, Nebraska by By James Woodruff Savage, John Thomas Bell, Consul Willshire Butterfield, 1894. 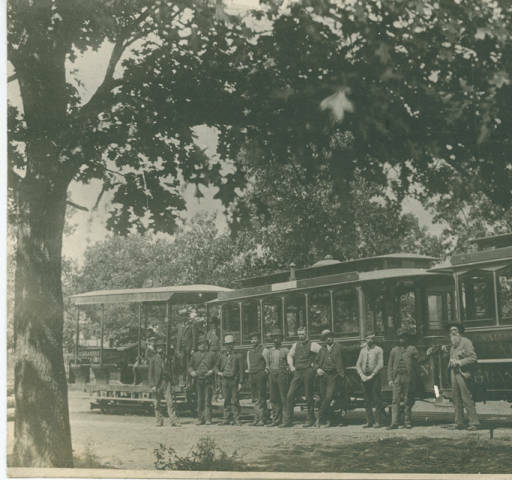 The Cable Tramway Company of Omaha was incorporated in June, 1884, by the following named: Samuel R. Johnson, Charles B. Rustin, Isaac S. Hascall, Casper E. Yost and Fred. Drexel. There was a re-organization effected December 4, 1888, under the style of the Omaha Cable Tramway Company, a new franchise having been secured in May of that year, granting broader privileges, and giving the company the right to run its cars on all the streets of the city, and allowing it to use cable, electricity, or such other motive power as might be deemed advisable. The capital stock of the company was fixed at two million dollars. The operation of the line was commenced December, 1887, and soon thereafter four and a half miles of double track were in use. A splendid power-house, 132 by 140 feet in size was built in 1887, at the intersection of Harney and Twentieth Streets. The incorporators of the company, when re-organized, were S. R. Johnson, L. B. Williams, C. B. Rustin, W. V. Morse, B. F. Smith and S. D. Mercer. The following named were the officers of both of these companies: S. R. Johnson, president and treasurer; L. B. Williams, vice-president; C. B. Rustin, secretary. The Tramway went bankrupt in 1888 and was reorganized as the Omaha Cable Tramway. The cable lines did not long survive past the merger of the Cable Tramway, the Horse Railway and the Omaha Motor Railway into the Omaha Street Railway. The Street Railway converted the Harney line to electric operation on 07-July-1890. The Dodge line, cut back to 10th and Harney, continued until early January 1894.
from "Street Railway News," The Street Railway Journal April, 1888. The John Stephenson Co., Lim., have just made shipments of cars to Japan via Canadian Pacific and steamer from Vancouver, and are preparing shipments for Allegheny City, Pa.; Norfolk, Va.; Salt Lake City, U. T.; Chicago, Ill.; the City of Mexico; Bay City, Mich.; Lowell, Mass. ; and Elmira, N. T. Their latest improved grip car, now in use at Omaha, Neb., has met with the most unqualified favor, and is without doubt the best of its kind yet produced. Illustrations of this car will appear in a subsequent issue. Cable Tramway Co. of Omaha is about opening its Dodge and Twentieth street line. The North Twentieth street line is also completed. They will build a new single track to the base ball park. from "Street Railway News," The Street Railway Journal May, 1888. A Decision has been rendered in the suit of the Omaha Horse Railway Company against the Cable Tramway Company to determine the title of the Horse Railway Company to the exclusive right to operate street cars in the city. The plaintiff is declared to have the right to operate horse cars in Omaha to the exclusion of all other parties but when motive power other than horse power is used the right is not exclusive. The Cable Tramway Company is ordered to compensate the Horse Railway Company for damage done by the construction of a parallel cable line. from "Equipment Notes," The Street Railway Journal May, 1888. John Stephenson Company, Limited, is now filling orders for Chicago, Salt Lake City, Norfolk, Va.; Allegheny City, Pa.; Los Angeles, Cal. ; New Haven, Conn.; Brunswick, Ga.; Omaha, Neb. ; Dunedin, New Zealand; Conoepcion, Chili; City of Mexico; St. Paul, Brazil; Wellington, New Zealand. The new Stephenson grip car with improved track brake is making an excellent impression, being tasty, durable and efficient. The Broderick & Bascom Rope Co. has received the following from the Cable Tramway Company of Omaha, Neb: "In answer to your inquiry regarding the servioe of cables furnished by you, I take pleasure in stating that the cables were put in and operating since the latter part of December '87. During this time we have encountered all kinds of weather and on several occasions our conduit has been filled with snow and water. This is our first cable and we have had green men. Thus far the cable shows very little wear and is in first class condition, and considering the many difficulties of a new road, I think it is giving remarkably good service, and judging from past experience, I shall be very much disappointed if it does not prove equal, if not superior to cables made by other companies." 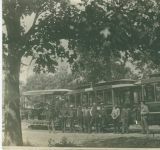 In 1909, the Omaha and Council Bluffs Street Railway published a weekly series of stories on the history of transit in Omaha in the Omaha Daily Bee. The lines of the Omaha Street Railway Company, which controls nearly all the traffic in the city, embrace eighty-five miles of track, of which sixty miles are operated electrically, seven by cable, .and the balance by horses. About 100 horses are still in service. One line of about four miles, which was formerly operated by cable, has for some time been operated by electric power. The cable conduit still remains in place. This line was very crooked, so that it required a great deal of power to operate, and the traffic being light, comparatively, it is found to be more economical to operate by electricity; in fact it is claimed by the management that the cost for operating per car mile is less on the electric lines than on the cable line. Two car trains are run on the cable line on ten minutes headway. This is almost the first instance where we have found electric cars operated for less per car mile than cable cars. These lines also enjoy the distinction of operating electric cars at a less cost per car mile than any other lints with which we are acquainted, with one exception. Quite steep grades are encountered on some lines, and these are operated with motor cars only. On most of the lines, however, trail cars are hauled. A very high rate of speed is attained in the suburban sections. The cable tracks are constructed with a sixty pound girder rail, and after four years of service are standing up quite well, the joints having been but once overhauled. The electric lines are constructed for the most part with a forty-five pound girder rail resting on chairs with ties two and a half feet centers. During the past season the Johnson standard joint construction has been substituted for fishplate joints. The special work on these lines was made by the Weir Frog & Switch Company. The rails are bonded, but there is no return wire. These stations also supply power for operating two cars on the line of the East Omaha Land Company. Engineer Robert Gillham designed and built the Cable Tramway Company of Omaha. From the 30-July-1897 Railway Age and Northwestern Railroader. "SCREW SPINDLE GRIP -- PROVIDENCE R. I., CABLE LINE." From Street Railways: Their Construction, Operation and Maintenance by CB Fairchild, 1892. July, 2008 Picture of the Month. opened: 11-December-1889. From Market Square on College Street to Prospect Street. Outbound on Prospect from College to Angell Street. Angell to River Drive (?). River (?) to Waterman Street at Red Bridge. Waterman Street inbound to Prospect. Prospect to College. notes: The Providence Cable Tramway was the only Hallidie-type cable car line in New England. The Union Railroad provided horse-car service to most parts of Providence (According to the 1887 Poor's Directory of Railway Officials, it operated "58.855 miles of road, owned 1,850 horses and 272 cars. "), but not to Brown University and the wealthy neighborhood on the east side of College Hill. The direct route over the hill would be too steep for horse traction. Walter Richmond, a resident of the East Side, organized the Providence Cable Tramway and secured a franchise against the opposition of the Union Railroad. The Union Railroad was unhappy about losing its monopoly in general and was particularly unhappy about having to shares its tracks on Westminster Street to Olneyville and back via Weybosset Street. The line's trailers would be pulled by horses along this section (Proceedings of the Rhode Island Historical Society, 1909, page 58). Richmond engaged engineer Henry M Lane, who had designed Cincinnati's Mount Adams and Eden Park and Vine Street cable railways. The cable line was difficult to operate because the streets it covered were not straight, and included both steep and undulating sections. Because of a difficult pull curve at College and Prospect, by the entrance to Brown University, the company used left-hand operation. The cable broke 17 times in the first six months ("Cables connect College Hill", Karen Davis, Providence Journal, 25-January-1999). Despite the difficulties, the company made money and in due time was taken over by the Union Railroad. Union failed to buy two shares of the Tramway and so leased it for 50 years, beginning in April, 1895, and kept the corporate structure intact. The Union Railroad had already electrified its lines and was anxious to convert the Tramway's operation. The stretch up the hill from Market Square to Brown University was too steep for electric operation. In April 1894, the grip cars had started pulling electric cars up the hills. The cars may have been the former trailers, with one axle motorized. The company converted the line to a counterbalance, similar to the one on Queen Anne Hill in Seattle. Weights ran on rails in the conduit and cars would latch on at the bottom and top of the hill and help each other up and down. The original counterbalance was too inflexible, so engineer-in-chief Milton H Brondson designed a system using the grip cars, motorized and enclosed, to latch onto the weights. The motorized cars could handle two electric cars each, switch themselves at Market Square, and ascend or descend alone, giving more flexibility. A tunnel replaced the counterbalance in 1914. A former Providence cable car equipped for the counterbalance. 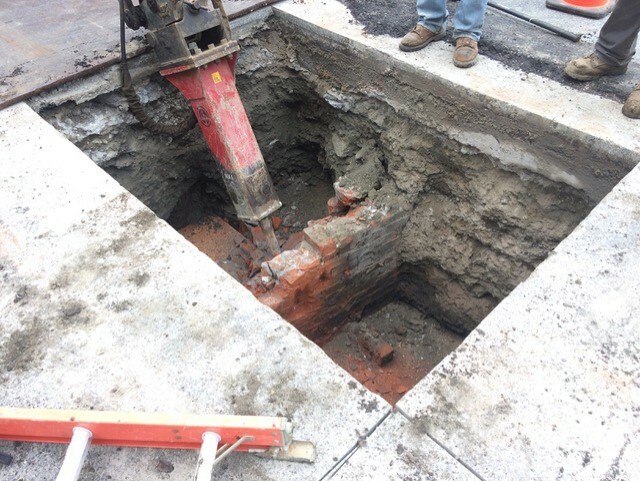 Thanks to Bob Vennerbeck for sharing this photo of a conduit once used by the Providence Cable Tramway and/or the counterbalance that replaced the line on College Hill. All rights reserved. "It seems they had unearthed a parallel pair of low brick walls about 2' high, with a smooth concrete slab about 3' wide between them, forming a U-shaped channel under the length of the street. The tops of the walls were about 2' below modern grade, and after the backfill was removed, a series of metal 'chairs' were found embedded either side of the slab, with bits of heavily greased mounting bolts scattered nearby." I agreed with Bob that this was the channel that the counterbalance's counterweight ran through or the cable conduit of the Providence Cable Tramway. Thank you to Bob for letting me present this find. from Annual Report of the Railroad Commissioner, January Session, 1891. REPORT OF PROVIDENCE CABLE TRAMWAY COMPANY. Incorporated 1884. Road built in 1889. Began running January 1, 1890. Walter Richmond President Providence, R. I.
W. B. Talbot Treas. and Sec'y Providence, R. I.
Milton H. Bronson Superintendent Providence, R. I.
Walter Richmond Providence, R. I.
George W. Butts Providence, R. I.
Henry G. Russell Providence, R. I.
F. E. Richmond Providence, R. I.
Alfred Stone Providence, R. I.
Joseph Banigan Providence, R. I.
Charles Fletcher Providence, R. I. Returns for Six Months Ending June 30, 1890. Capital Stock actually paid in (preferred) None. Total amount of funded debt None. Rate of dividend paid to stockholders None. Total surplus after paying dividend None. Total surplus at commencement of year None. Expended during the year for repairs on rolling stock None. Balance of rolling stock account at commencement of year None. Total number of tons merchandise carried during six months None. Total length of road 3 Miles. Miles of track in this State 3 "
Number of passengers killed during six months None. Number of passengers injured during six months None. Number of employees killed None. Number of employees injured None. Rate of fare 5 cents. * Mr. W. D. Watson was fatally injured Jan. 26, 1890, (and died within a week) from attempting to cross in front of a grip car on Hope street, corner of Waterman. Jan. 26. WALTER D. WATSON, of Providence, while attempting to drive in a carriage across Waterman street, in front of grip car No. 18, of the Providence Cable Tramway Co., was struck by the car and so severely injured that lie died on the following Wednesday. May 15. JOHN COYNE, a laborer in the employ of the highway department, city of Providence, was struck by a car of the Providence Cable Tramway Co. on Angcll Street, and received severe injuries about the hips. He saw the car and stepped aside, but not far enough. July 19. ROY EVERETT BRYANT, 7 years old, was playing with other boys on South Angell street, Providence, and while running backward was struck by a grip-car of the Providence Cable Tramway Co. and run over. He was taken to the Rhode Island Hospital, and his right leg amputated below the knee. He was discharged from the Hospital cured, on the 7th of August. 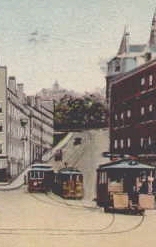 The Providence Cable Tramway, having accomplished its object and secured direct transportation to the residents of the "East side," has been absorbed by the Union Railroad Company, and is now operated by that company. This I regard as a move in the right direction, as whenever two or more rival companies use the same tracks, there will necessarily be more or less friction between employees. 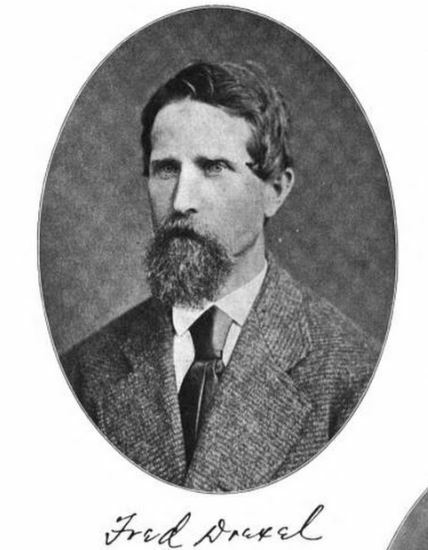 from Annual Report of the Railroad Commissioner, For the Year Ending December 31, 1893. Nelson W. Aldrich President Providence, R. I. A. T. Potter General Manager Providence, R. I.
C. A. Babcock Treasurer Providence, R. I.
H. V. A. Joslin Secretary Providence, R. I.
M. H. Bronsdon Superintendent Providence, R. I.
Nelson W. Aldrich Providence, R. I.
Benjamin A. Jackson Providence, R. I.
Charles H. Perkins Providence, R. I.
Gorham P. Pomroy Providence, R. I.
George W. R. Matteson Providence, R. I.
Nicholas Sheldon Providence, R. I.
Arthur H. Watson Providence, R. I. Returns for Six Months Ending June 30, 1893. Receipts from all other sources None. Rate and amount of dividend paid None. Expended during year for new rolling stock None. How much of last amount charged to construction account None. How much of same charged to expense account All. Tons of new steel rails laid during the year None. Number of ties laid during the year None. Number of passengers killed during the year in this State None. Number of persons killed at grade crossings None. Number of persons injured at grade crossings None. Number of persons walking on or crossing the track killed None. Number of persons walking on or crossing the track injured None. Rate of fare 5 cts. from ACCIDENTS DURING THE YEAR 1893. Feb. 26. Antonio De Angelis stepped from car No. 14, Providence Cable Tramway Co., while it was in motion, but fell and broke his leg. He was taken to the R. I. Hospital. May 29. As car No. 40, Providence Cable Tramway Co., drawn by horses, was passing up Dyer avenue, Johnston, a boy by the name of Willie Williams fell from the car and one wheel passed over his leg. He was taken to the R. I. Hospital. from Annual Report of the Railroad Commissioner, For the Year Ending December 31, 1894. Returns for the year ending June 30, 1894. Interest paid within the year None. Number of passengers injured during the year in this State None. Number of persons killed None. When the Union horse system was changed to an electric that portion of the Providence Cable Tramway line which had been operated by horse power was also transformed. Within the past year authority has been given the company to substitute electric power for the propulsion of cars upon the cable portion. The operation of cars upon the excessive grade on College Hill is to be assisted by a system of counterweights similar to those in successful use in the cities of Seattle and Portland. Without some such device it would be unsafe to make the ascent and descent of so heavy a grade, and this provision is being made by the company so as to preclude to the greatest extent any possible liability to accident. February 6. Herbert Dyer of Providence, while coasting down Grand Avenue, was struck by cable car No. 30, Providence Cable Co., and somewhat injured. The Cable Car Cinema and Cafe showed independent and foreign films at 204 South Main Street from 1976 to 2018. It fell victim to the forces that have destroyed so many cinemas across the country. 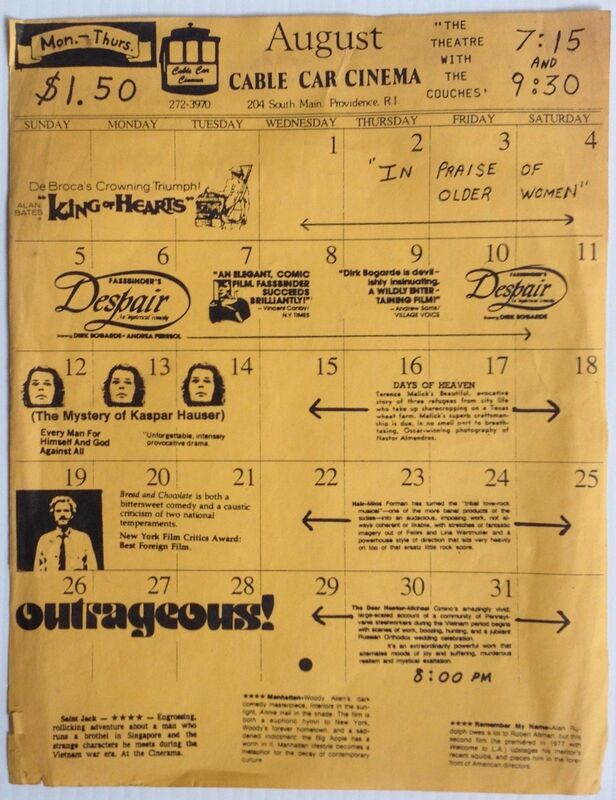 A November, 1978 schedule for the Cable Car Cinema. 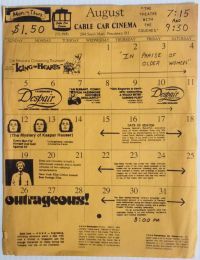 I remember when many of these movies would play in San Francisco at theaters like the Golden Gate, the Parkside and the Strand. Car 4 of the Camões-Estrela line was built by the German Maschinenfabrik Esslingen. I wonder if it on a transfer table. Photo courtesy of Maschinenfabrik Esslingen. All rights reserved. August, 2015 Picture of the Month. 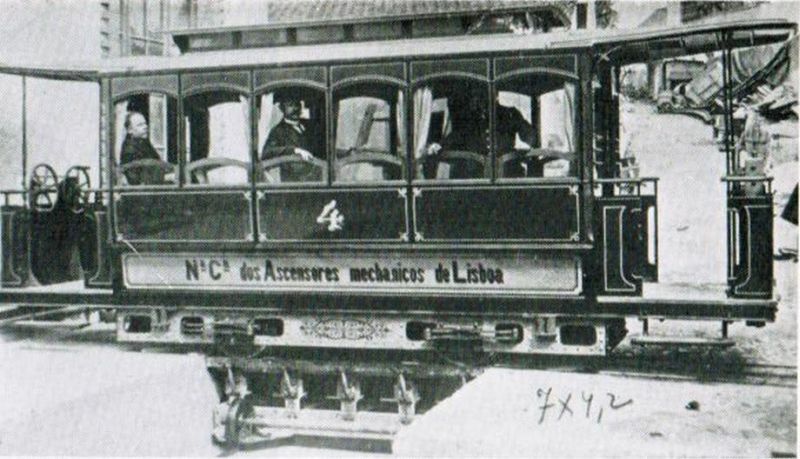 notes: The Nova Companhia dos Ascensores Mecânicos de Lisboa (NCAML) hired Maschinenfabrik Esslingen to build two lines of Hallidie-type cable tramway. The Camões-Estrela line terminated in a loop. The cars coasting around the loop by gravity sometimes hit things, earning the line name of "Dog Killer" ("Mata-cães"). The Graça had many curves, so it used grip and trailer trains. Both lines were converted to electric traction in 1912 after the company was taken over by the Companhia Carris de Ferro de Lisboa (CCFL). Because of franchise restrictions, the cars were lettered for the NCAML and charged separate fares until 1928. 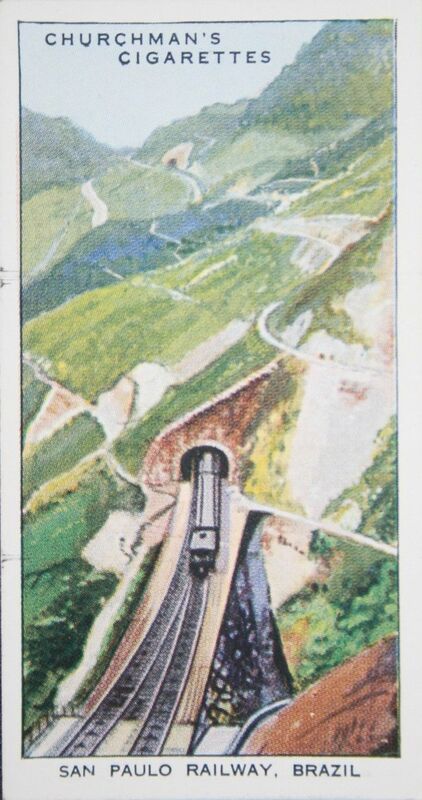 The cars had magnetic track brakes to help them deal with the steep grades. Grip car and trailer 6 of the Graça line was also built by the German Maschinenfabrik Esslingen. I wonder if it was photographed on elevated tracks as a builder's photo. Photo courtesy of Maschinenfabrik Esslingen. All rights reserved. Thank you to John Perkin for sharing an article from one of the LRTA booklets on Portugal's Tramways written by J H Price. Thank you to João Firmino for permission to use this 2005 shot of Elevador do Lavra tram 1 at the upper terminal. Note the two pantographs on the roof of the car and the two wires above each track. Copyright 2005 by João Firmino. All rights reserved. 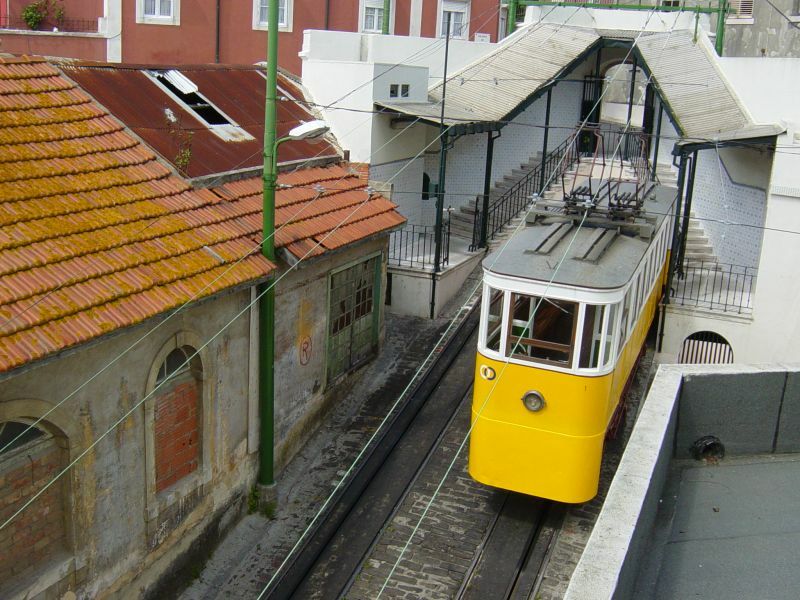 Lisbon has three unique street-running funiculars, the Elevador da Bica, the Elevador da Glória and the Elevador do Lavra. The Elevador do Lavra opened on 19-April-1884. Two counterbalanced cars operate, attached to a cable that runs in a conduit under the street. At first, a steam engine drove the cable. A rack rail in the conduit allowed for emergency braking. The cars ran on gauntlet tracks, with a passing loop in the middle. In 1914, the line was converted have the cable driven by an electric motor. In 1930, the line was converted to be a counterbalance. The cars had their own electric motors. The two cars were wired in parallel, which required two overhead wire for each car. The cable runs over an idler sheave at the top. Inclined frames keep the tram body horizonal. 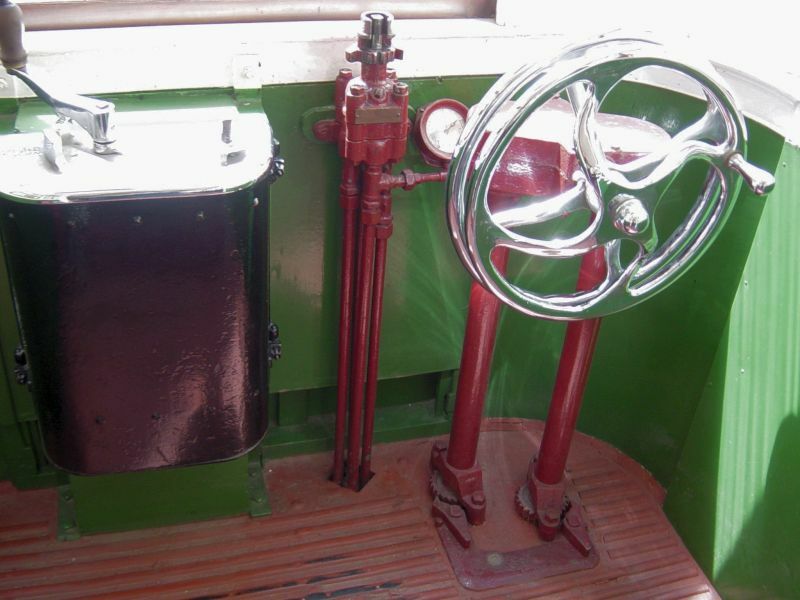 Thank you to João Firmino for permission to use this 2005 shot of the motorman's control position on an Elevador do Lavra tram. Copyright 2005 by João Firmino. All rights reserved. 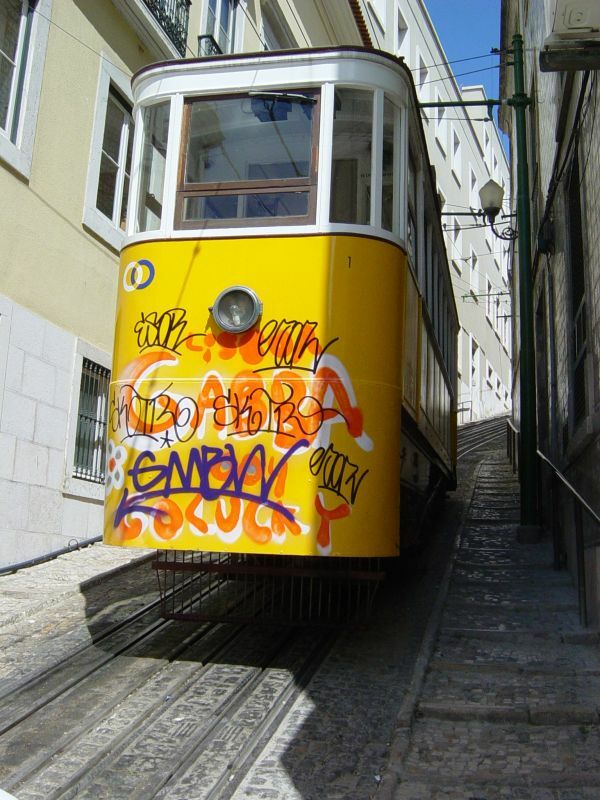 Thank you to João Firmino for permission to use this 2005 shot of a graffiti-covered Elevador do Lavra tram 1. Note the gauntlet tracks and the width of the street. Copyright 2005 by João Firmino. All rights reserved. Thank you to João Firmino for permission to use this 2005 shot of the grip under an Elevador do Lavra tram. Copyright 2005 by João Firmino. All rights reserved. Thank you to João Firmino for permission to use this 2005 shot of an Elevador do Lavra tram at the upper terminal. It looks down the curving street. Here is another good view of the two pantographs on the roof of the car. Copyright 2005 by João Firmino. All rights reserved. 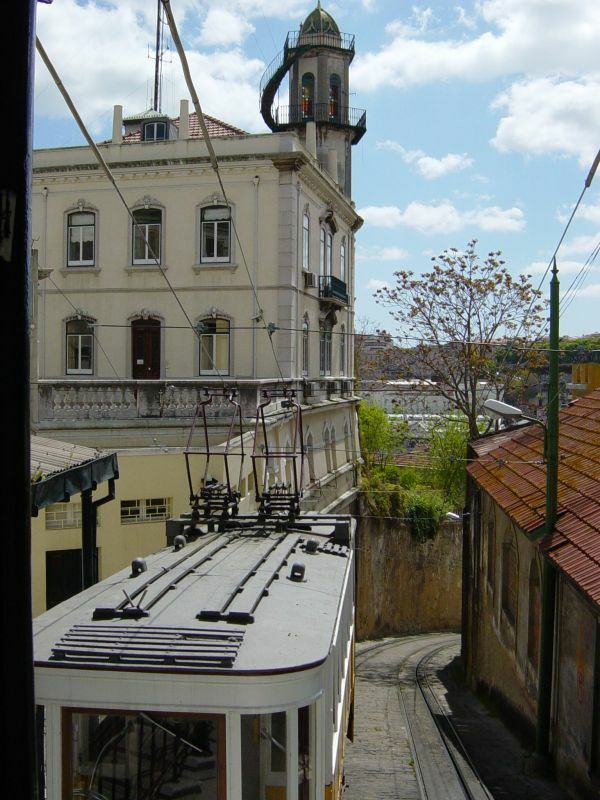 The history of the Elevador da Glória is very similar to that of the Elevador do Lavra. It opened on 24-October-1885. First it used water power. A tank under the upper car would be filled with water, making it heavy enough to pull up the lower car. Then the tank would be emptied and the tank on the car now at the upper station would be filled. Later it was converted to steam power, perhaps to save water. It was converted from steam to electric drive in 1914, then to electric motors on the cars in 1930. As on Lavra, inclined frames keep the tram body horizonal. The Elevador da Bica works differently. It opened on 28-June-1892. It was powered by a steam engine. Like the others, it was converted to electric drive in 1914, but it has stayed that way. Pantographs on the car roofs connect with wires which are used to carry signals to the powerhouse. The car bodiess are stepped, as on most traditional funiculars. All the lines run on 90CM tracks, which are standard in Lisbon. "Élévation d'une voiture funiculaire" (View of a funicular car) from the article "Tramway Funiculaire De Belleville" by G De Burgraff, from Le Magasin Pittoresque, 1890. November, 2003 Picture of the Month. notes: The Tramway Funiculaire de Belleville was designed and built by Fulgence Bienvenüe, who later built the Paris Metro. It was a popular line, carrying up to 5 million passengers a year. There was one serious accident on the line. In 1906, a car ran away down the hill to the Place de la République, running at speeds up to 120 kmh. Over 20 people were injured. The cable line ran until 18-Jul-1924, when it was replaced by a bus. Read the article "Tramway Funiculaire De Belleville" by G De Burgraff, from Le Magasin Pittoresque, 1890. 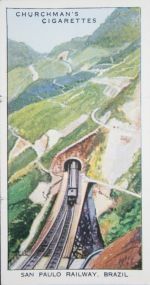 A Churchman's Cigarettes card shows a cable-hauled train leaving a tunnel on Brazil's São Paulo Railway. November, 2015 Picture of the Month. British investors built the São Paulo Railway to connect the port of Santos with São Paulo City. The line used cable traction to haul freight and passengers up and down the Serra do Mar. 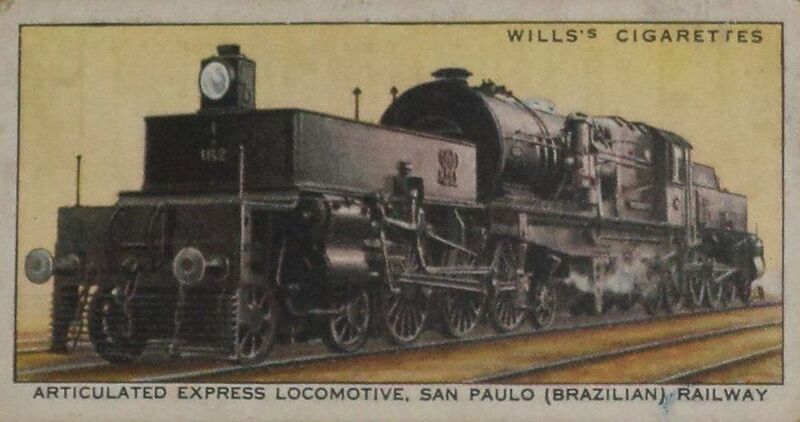 Showing typical British skill with local languages, they incorporated it as the San Paulo Railway. The Railway opened on 16-February-1867. The line uses a gauge of 5'3". There are several different gauges used in Brazilian railroads and metro systems. 5'3" is used on several. The first section of the line runs for about 20 kilometres from near sea level at Santos to Piassaguera. Construction of this section began in 1860. The second section climbs the Serra do Mar from Piassaguera to Paranapiacaba. It is about eight kilometres. Construction of this section began in 1861. Methods of climbing and descending have changed over the years. The third section of the line, about 110 kilometres, crossed he plateau from Paranapiacaba via São Paulo to Jundiaí. The second section has used three different systems to climb and descend the Serra do Mar. The original section, later called the Serra Velha, used four separate inclines with cable traction. 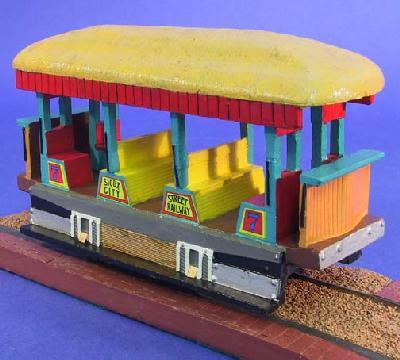 On each incline, trains were attached to a brake van, called a serrabreque. 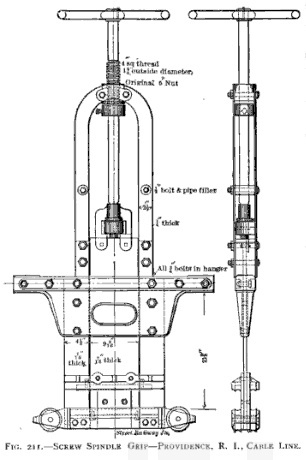 The serrabreque was attached to the cable. A steam engine in a powerhouse at the top of each incline would wind up and unwind a steel rope. The trains were not counterbalanced. Declining traffic led to this section stopping work in 1970. The second section was a bottleneck which slowed handling of big coffee crops. The company built a parallel section starting in 1891. Grades were lighter on this section, which used five separate inclines. The ropes were endless and loads moving up and down were counterbalanced. Trains were attached to the ropes by a Locobreque, a small steam locomotive which could grip the rope to run on the inclines and pull the train to the next incline. This section was used until 1982. Now the second section is operated using Abt system rack traction with electric locomotives on the grade of the Serra Velha. This section opened in 1974. On 13-September-1946, the government of Brazil nationalized the line and renamed it Estrada de Ferro Santos-Jundiaí. On 27-September-1948, it merged into the national system, Rede Ferroviária Federal SA (RFFSA). A Wills's Cigarettes card shows a Beyer-Garratt 4-6-2+2-6-4 articulated locomotive on Brazil's São Paulo Railway. November, 2015 Picture of the Month.